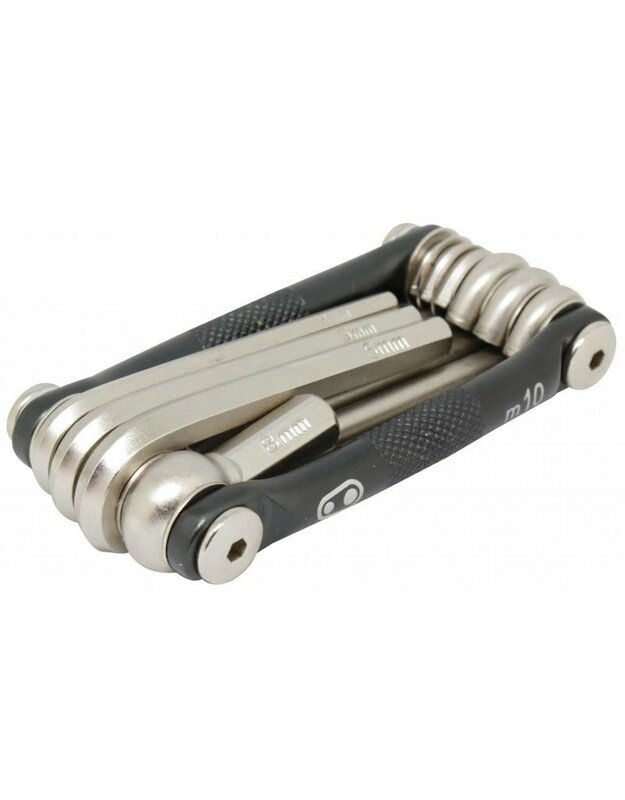 The Crank Brothers Multi 10 is a compact, bike multi tool with 10 features. 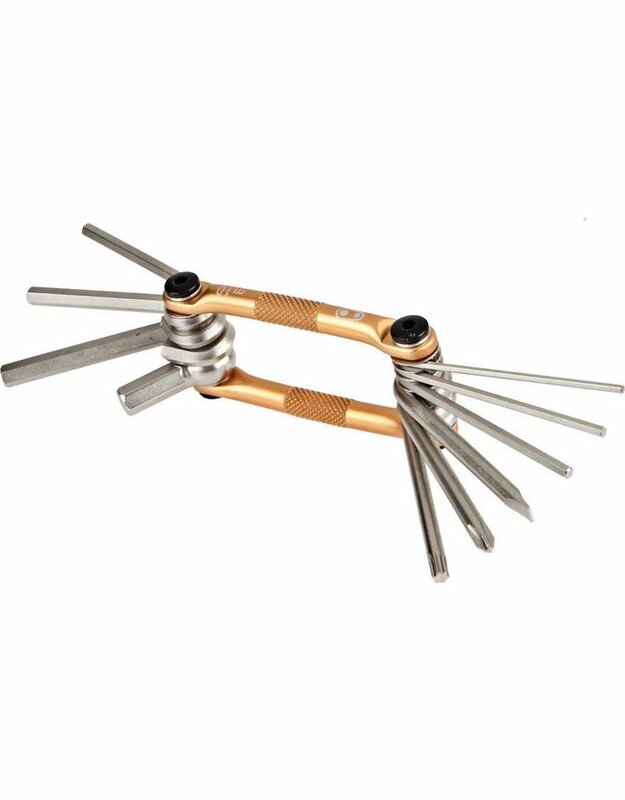 The Crank Brothers Multi 10 delivers a ten function bike multi tool with all of the most commonly required Allen Keys, and Screw drivers. 7 hex keys, 2 screwdrivers and a t-25 Torx. Tool Material:- 6051 high tensile steel. 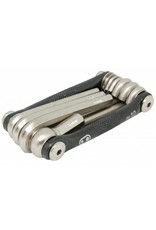 Hex wrenches: # 2, 2.5, 3, 4, 5, 6 and 8. Screwdrivers: Phillips & flat head.